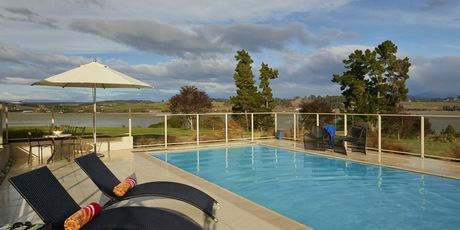 Enjoy the luxury and panoramic sea and mountain views at Almyra Waterfront Lodge - our luxury 2 bedroom self-contained apartment accommodation for up to 4 people. Alternatively we can offer the accommodation as a one bedroom apartment for 2 people, and separately, a lovely B & B Suite for 2 people. 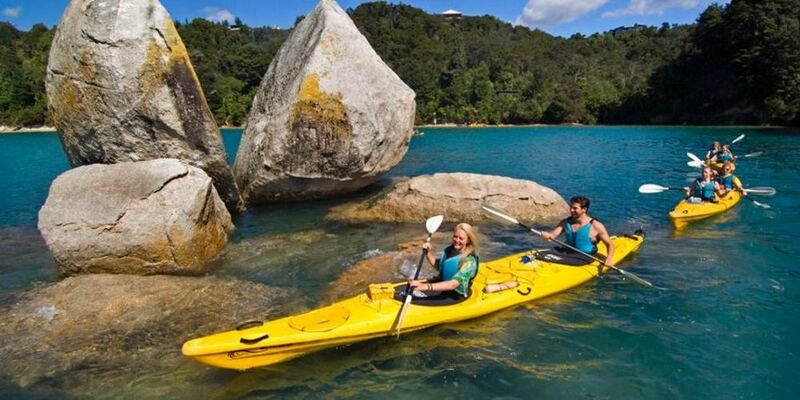 Our beautiful luxury accommodation close to the Abel Tasman National Park is just a stone’s throw from some of the most pristine and unspoiled beaches in New Zealand and provides the perfect spot for relaxing, walking, golf, wineries, fishing, kayaking and Abel Tasman activities. 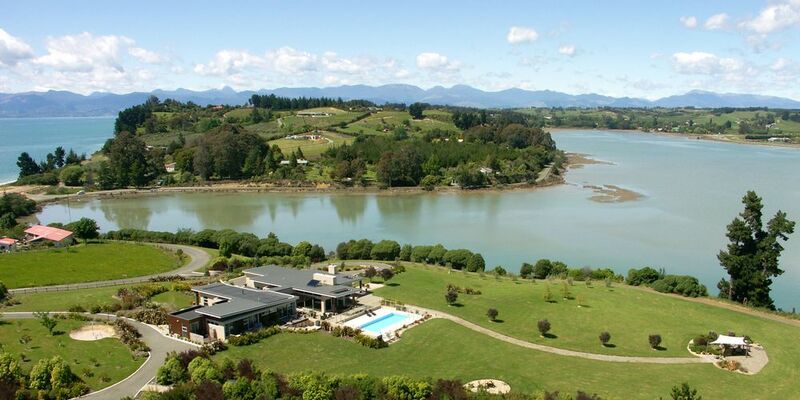 Almyra is well located on the stunning Kina Peninsula between Nelson and Motueka. 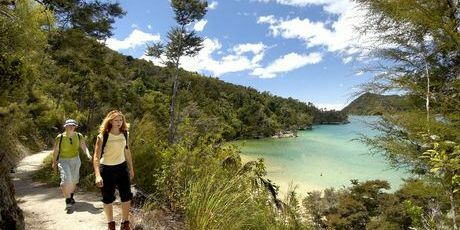 It’s an easy drive to the Abel Tasman Nation Park and Kahurangi National Park and we’re ideally positioned for visiting Nelson, local wineries, golf courses, art studios, cafes and so much more. 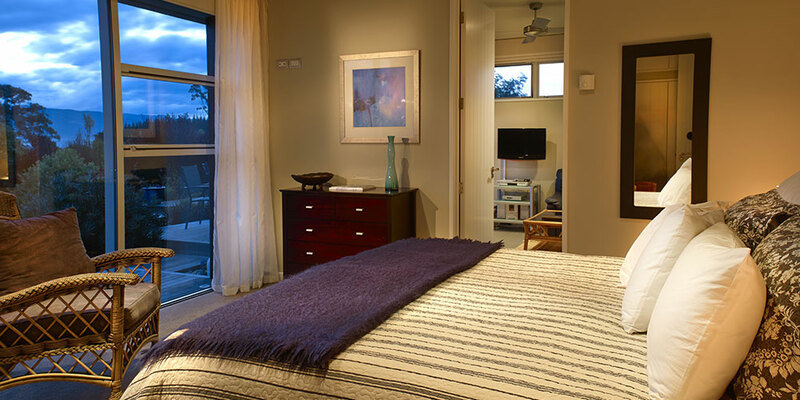 Almyra Waterfront Lodge is in a spectacular location, set in three acres of coastal garden leading down to the water's edge. 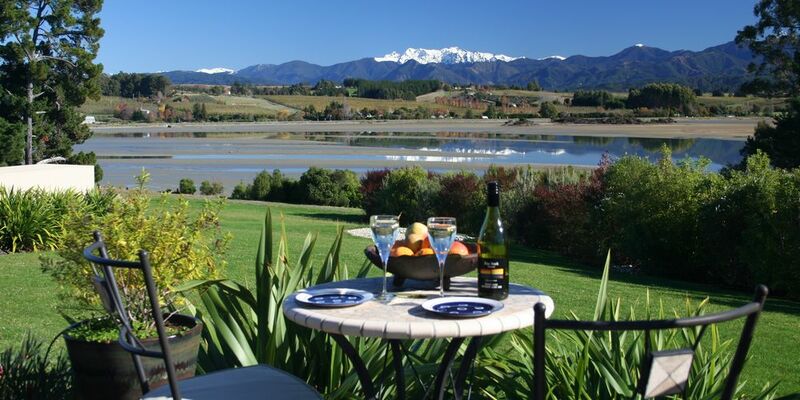 Enjoy watching the ever changing views over the Kahurangi mountains and Moutere inlet from your private deck. Enjoy the outdoor 11 metre swimming pool which is heated by solar energy (seasonal use). 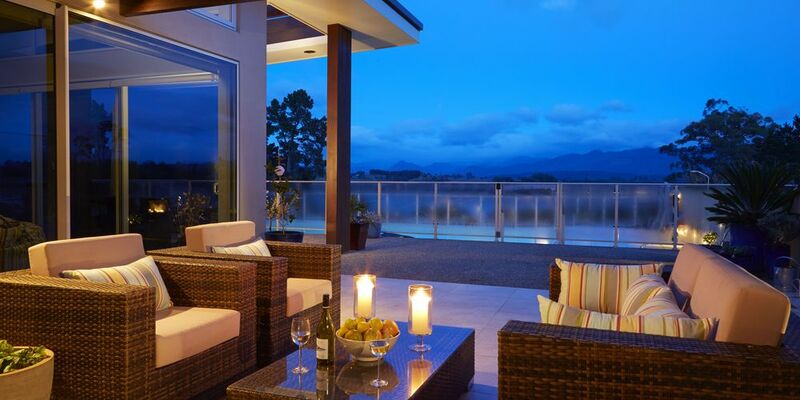 From your personal deck, you overlook the Kina Estuary and out to the Mt Arthur ranges. 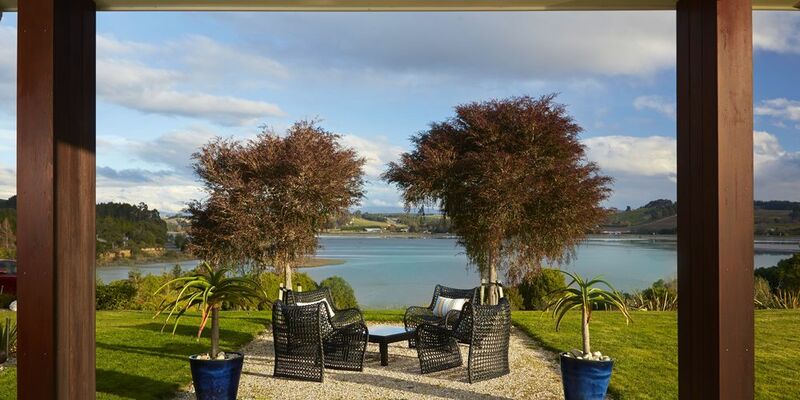 The dramatic Tasman Bay and the night lights of Nelson beyond can be viewed from our stunning property. 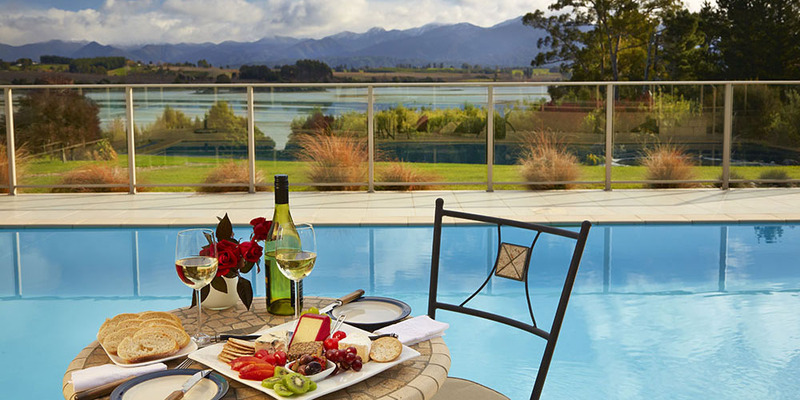 Amazing sunrises and sunsets can be enjoyed from your deck whilst you sip a glass of local wine. The sunsets are ranked as among some of the best in the world!